It's a heavy design to suit your style! 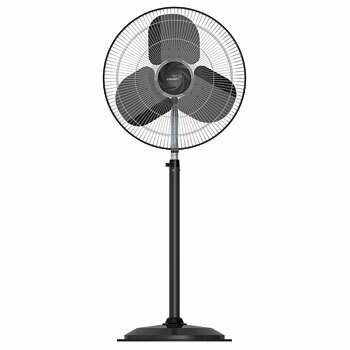 Although big in size, the V-Guard's Fanza FT 18'' and 20'' Pedestal Fan gives you efficient cooling when you need it. Buy this powerful fan online and wave off your summer worries. The V-Guard Fanza FT Pedestal Fan consumes up to 160 W of power and works on an optimum operating voltage, making it ideal for most places and unlike large, broad fans doesn't blow wind at anything else except you, keeping you cool.